1. Change your focus from inward to outward. Begin to feel your body, view the room, see other beings, hear the sounds of meditation ending. 2. Breath deeply a few times – long inhales and exhales. 3. Gently move your upper body – shoulders, arms, head, neck, do a seated twist of some kind. 4. Gently move your lower body – legs, ankles, feet, toes. This is especially important if the legs have fallen asleep or have generated discomfort from sitting in meditation. 5. Rub your hands together to create a tingling sensation. 6. Gently massage your eyes opening them only after the eyes feel comfortable. Once they’re open just sit for a few more breaths. 7. Express gratitude for meditation, for other meditators in the room, for the meditation leader. 8. Adjust your clothing. 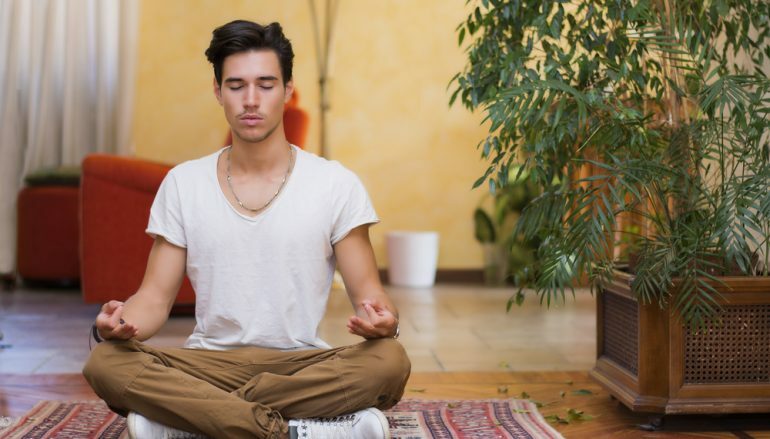 Your body temperature may have risen or dropped during meditation. Take off a layer or add one as needed. 9. Decide whether you wish to speak with others or simply exit quietly. 10. Finally, be sensitive to other meditators. 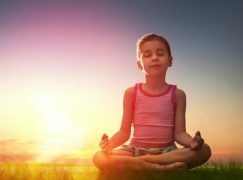 Some will feel very relaxed and open to gentle post-meditation conversation while others who feel the same calmness may wish to leave undisturbed by talk. Do your best to sense whether or not conversation is appropriate.